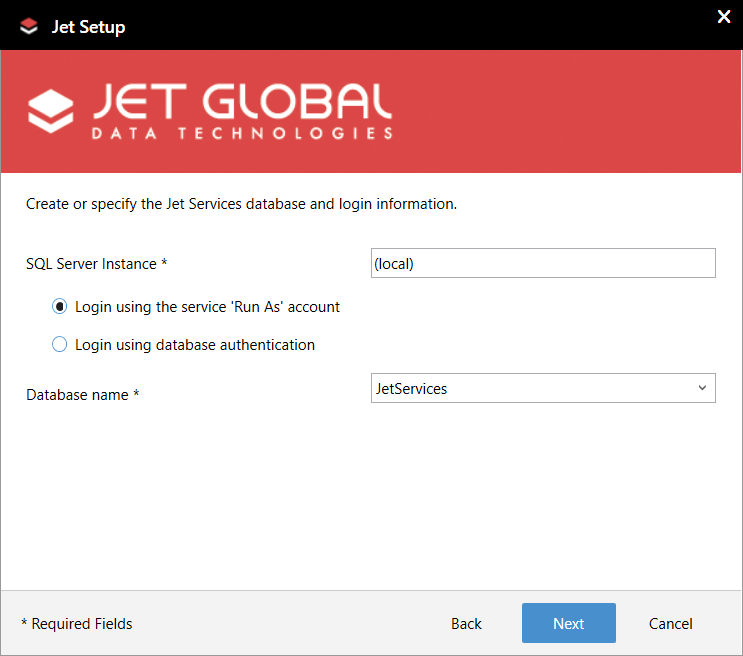 When installing the Jet Service Tier for use with Jet Reports, you must select the database that will be used with the Service Tier. You can specify an entirely new database or select an existing database. If you select an existing database, you have the option of upgrading that database or overwriting it. 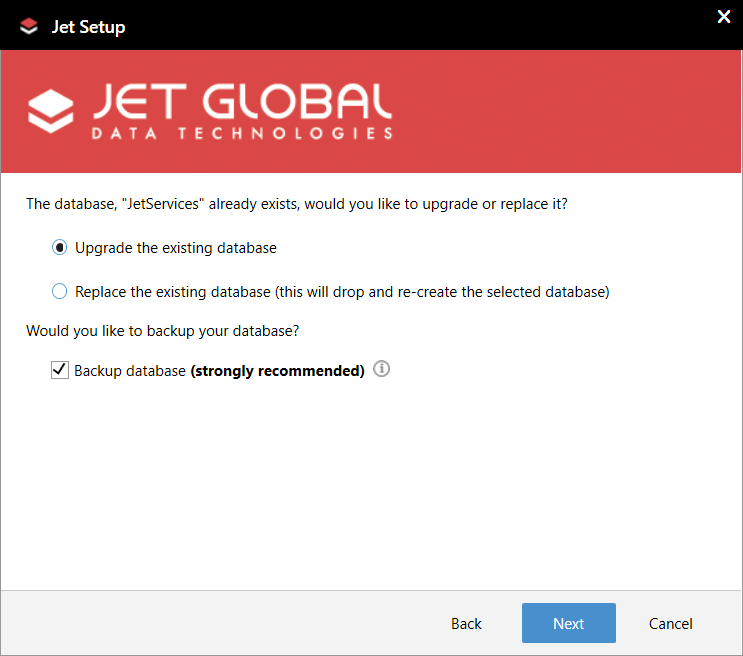 When upgrading an existing Services Database, you will be presented with the option of performing a database backup which will be written to the default SQL Server backup location. This requires that the user running the installer be a member "of the sysadmin fixed server role and the db_owner and db_backupoperator fixed database roles." SQL Server must have permissions to write to the default backup location. See the Microsoft documentation for more detailed information on SQL Server backup requirements. The database schema will be upgraded to the latest version and your existing data will be preserved. If the original database is from a version which supported distribution groups (and distribution groups with active users exist in the database), those users will be converted to regular users and the distribution groups will be removed. If you choose to overwrite an existing database, all previous data will be deleted. or other situations when you wish to remove all previous settings and data and start from scratch. What is the Jet Service Tier?